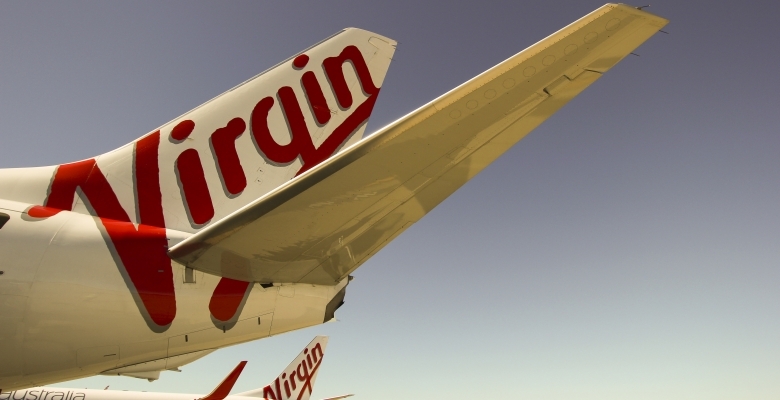 In November 2013, Virgin Australia Holdings Limited (Virgin Australia) announced that it intended to work with its major airline shareholders, Air New Zealand, Etihad Airways and Singapore Airlines, in relation to future Board representation. Mr Goh Choon Phong, Singapore Airlines [Alternate Director: Mr Marvin Tan]. The appointments, which are effective today, have occurred following the adoption of a Nominee Director Protocol (Protocol) which sets out the procedures to be followed by the Board, its major shareholders and their nominated representatives on the Board. The Protocol will assist the management of potential issues relating to conflicts of interest and confidential information and ensure the Board continues to serve the interests of all shareholders. Mr Chatfield said: “We are privileged to have such a strong and diverse group of leading international airlines as our major shareholders and it is with great pleasure that I welcome their nominated representatives to the Board. The new directors bring a wealth of global aviation experience which will further strengthen the Board. “We have put in place strong protocols in relation to confidential information and any conflict of interest. The Board will continue to ensure it serves in the best interests of all shareholders. “The Board will comprise of ten directors, four of which represent the major shareholders including Air New Zealand, Etihad Airways, Singapore Airlines and the Virgin Group. The remaining six directors include five independent directors and one executive director. The Board will retain its overall independence given that I, as current Chairman, am an independent director and the company’s Constitution states that the Chairman has a casting vote if there is an equality of votes at a meeting of directors. The Board considers this balance of representation appropriate given that over 79 per cent of the share register is held by Air New Zealand, Etihad Airways, Singapore Airlines and the Virgin Group which are, together with their nominated representatives, subject to the terms of the Protocol”, Mr Chatfield said. Consultation on the Protocol was undertaken with the Australian Competition and Consumer Commission and the Department of Infrastructure and Regional Development prior to its finalisation. All major shareholders and their nominated representatives have provided their agreement in writing to the Protocol. A summary of the Protocol is attached to this announcement. A full copy of the Protocol will be made available on the company’s website. Mr Luxon is Chief Executive Officer of Air New Zealand. Prior to joining Air New Zealand, Mr Luxon was President and CEO of Unilever Canada, where he was responsible for leading Unilever's $1.4 billion Canadian business and 1,500 employees. Mr Luxon has a Master of Commerce in Business Administration from the University of Canterbury. Mr Hogan is the President and Chief Executive of Etihad Airways and brings more than 30 years of travel industry expertise to the Board. He started his career at Ansett Airlines and subsequently held senior positions with bmi, Hertz, Forte Hotels and Gulf Air, where he served as chief executive for four years. Mr Hogan is a fellow of the Royal Aeronautical Society and a former non-executive director, and member of the Board’s Audit Committee, of Gallaher Plc and the UBS Industrialisation Advisory Board . He currently serves as vice chairman on the Executive Committee of the World Travel and Tourism Council(WTTC) and is a member and the International Air Transport Association (IATA) Board of Governors. He serves as vice chairman of equity partners, airberlin plc and Jet Airways Board. Mr Goh is a Director and Chief Executive Officer of Singapore Airlines. Prior to his appointment as Chief Executive Officer, Mr Goh held senior management positions in various divisions in Singapore Airlines, ranging from marketing to information technology, finance and cargo. Mr Goh also served as President of Singapore Airlines Cargo Pte Ltd from 2006 to 2010. Mr Goh is also a director of SIA Engineering Company Limited, Mount Alvernia Hospital and is a member of the Board of Governors of the International Air Transport Association. Mr Goh has a Master of Science in Electrical Engineering and Computer Science as well as three Bachelor of Science degrees in Computer Science & Engineering, Management Science and Cognitive Science from the Massachusetts Institute of Technology. Mr Rigney was appointed to the position of Chief Financial Officer at Etihad Airways in 2006. He also sits on the Boards of Air Berlin, Air Serbia and Jet Airways and serves on the Finance Committee of the International Transport Association (IATA). Mr Rigney joined Etihad from Gulf Air, where he held the position of Head of Corporate Strategy. He has previously held senior positions at the Ansett Group and began his career at KPMG. He is a chartered accountant and holds a Bachelor of Business and Masters Degree in Business Administration from RMIT University in Melbourne. Mr Tan is the Senior Vice President Cabin Crew of Singapore Airlines. Mr Tan joined Singapore Airlines in 1996 and has held various appointments both in Singapore and overseas, most recently on secondment to SilkAir, Singapore Airlines’ regional subsidiary, as the airline’s Chief Executive. Mr Tan currently also serves on the Board of Scoot Pte Ltd. He holds a Bachelor of Arts degree in International Relations from Stanford University.